After all, there’s fruit. That’s healthy. Smoothies are meant to be healthy too right? So, check. That may sound true, but it’s not quite that simple. In the paragraphs below, we explore whether a fruit smoothie is healthy or not. And when something that’s supposed to be good for you can quickly turn into something that’s not. Fruit smoothies have great potential to be a nutritional powerhouse or just a liquid means of eating junk food. It’s all about the quality and quantity of the ingredients that you choose to add to your fruit smoothies. Let’s do some evaluating to see if fruit smoothies really are good for you. Adding foods rich in digestive enzymes, such as bromelain, which is found in pineapple, makes a fruit smoothie an excellent nutritional choice. It helps anyone who doesn’t have a lot of time to prep food, but still wants to get in more fruits and veggies. Adding healthy green vegetables like spinach and kale to fruit smoothies adds nutrients without adding more sugar. Meanwhile, using fruits high in nutrients and antioxidants are another great way of fortifying your smoothie to make it healthy. One examples is adding a variety of berries, which are available at different seasons of the year. Blueberries, blackberries, strawberries and cherries provide antioxidants that protect that our cells as well as our joints from age-related diseases. Here’s a great video that shows you 5 delicious healthy fruit smoothie recipes. The video also includes wonderful tips on how to make your smoothies. 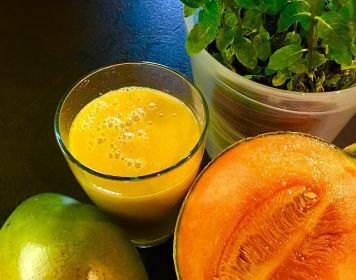 While designed for breakfast, the smoothies can be made anytime of the day when you need something refreshing to drink that’s both flavorful and healthy. A summary of the fruit smoothie recipes included in the video. You can make one for each day of the week from Monday to Friday. Foods loaded in sugar with minimal fiber can spike blood glucose levels. This would be an instance where it would be unwise to use large amounts of fruit. While fruits are generally healthy, they do contain natural sugar. Natural sugar is not as harmful as the refined white sugar that’s used in pastries and cakes. However, it is still a form a sugar. And as a result, it does raise our blood glucose levels. Some fruits like bananas and figs are loaded with sugar. So you’ll want to limit them in your smoothies. If you’re a diabetic, or have issues with blood sugar, you’re better off avoiding these fruits and sticking with low sugar fruits like berries. Sticking with fruits that are lower on the glycemic index are more ideal. Berries are great fruits that provide antioxidants and are not the highest fruits in sugar content. Thus they are not only great choices in preventing blood sugar spikes but also better choices for weight loss. There are many foods you can add to fruit smoothies to add bulk without adding calories from sugar. One example is protein powder. This will let you add healthy muscle building and repairing protein into your diet. Not all foods are created equal. You probably already know that by now. As such, it is important to avoid adding liquids to your fruit smoothies that contain extra calories. This can be from carbs or from sugar. Some examples include sweetened almond milk and whole fat cow’s milk. At least unless you’re trying to gain weight. Then they may be helpful. As long as you don’t overdo it. Adding a food such as this might seem to be a healthy option. After all, cow’s milk and almond milk are considered healthy right? If you include a good amount of these, say a cup, by the time fruit is added, you quite possibly have more sugar in your smoothie than a soda. And weren’t you were planning on drinking smoothies to get away from sugar? This actually ends up negating much of the nutritional benefits of drinking a fruit smoothie. And after adding a few more sugars, you may not end up drinking fruit smoothies for their health benefits anymore. Though you do get the positive benefits of the vitamins, minerals and antioxidants, you’ve also loaded up on sugar and fats. What should you consider when making a fruit smoothie? One is how much fruit is used in making that smoothie. Taking a look at your nutritional goals can help you determine what you should be eating. At the very minimum, there should be a variety of ingredients that are used to give you the best nutritional value. Vitamins, minerals and antioxidants are among the things to always look for. You’ll want something that contains protein rather than carbs. Add some fiber into your smoothie. And cut the unhealthy fats. Instead add healthy unsaturated fats. Finally, keep an eye out for sugar. This can come in liquid form, fruits or actual scoops of sugar. Make sure you limit added sugar or completely cut it out. 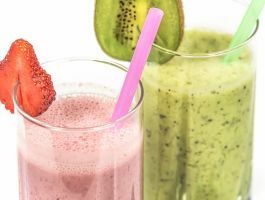 By understanding what you need from a smoothie, and know your daily values of nutrients, you can establish a clear understand of how you should proceed when trying to blend your next fruit concoction. If your goal is to lose weight and load up on the nutrients, then these superfood smoothies are perfect. They’re designed to help you shed the pounds and get a ton of vitamins, minerals and antioxidants with just one drink. Also, don’t forget to take a look at the quality of the ingredients themselves. Do you avoid “the dirty dozen” fruits and vegetables? And do buy them organic? 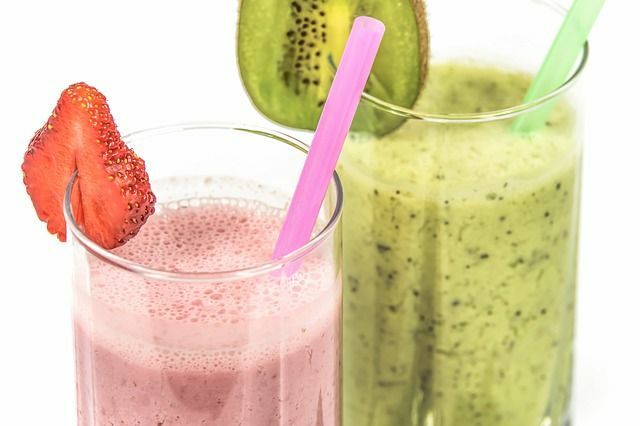 These potential ingredients can contaminate your smoothie with chemicals if not at least properly washed before adding them to your fruit smoothie. You want a wide variety of ingredients, but you also need high-quality ingredients. So when all’s said and done, are fruit smoothies really good for you? 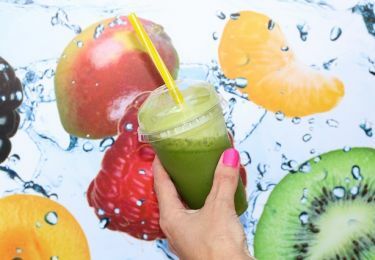 The answer is yes, but only when the smoothie is not only fruit, but balanced with a wide variety of nutrients, such as protein, iron, and calcium. The ingredients that you add to your smoothie should also match your health and fitness goals. Are Fruits Good or Bad for Your Health?